These lovely earrings have been handcrafted by the women at Eden Ministries Jewellery. These women have been rescued from lives of sexual exploitation and human trafficking. They are now free and fully engaged in creating a safe future, facilitated by their jewellery making business. 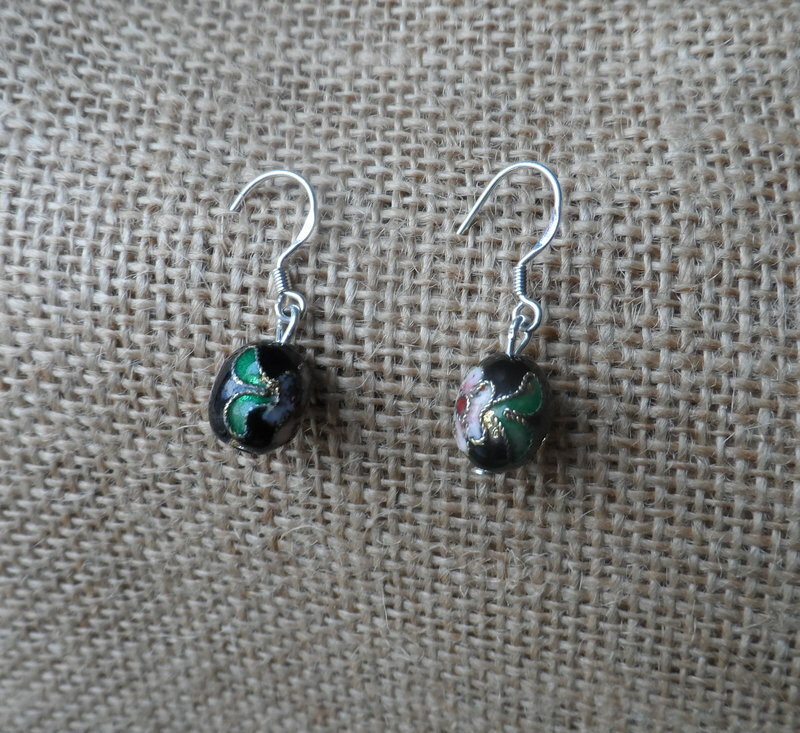 The earrings feature beautiful baby cloisonne beads with a black background. They have a drop of 1cm. These earrings are presented for you in a package alongside a brief story of one of the women from Eden.